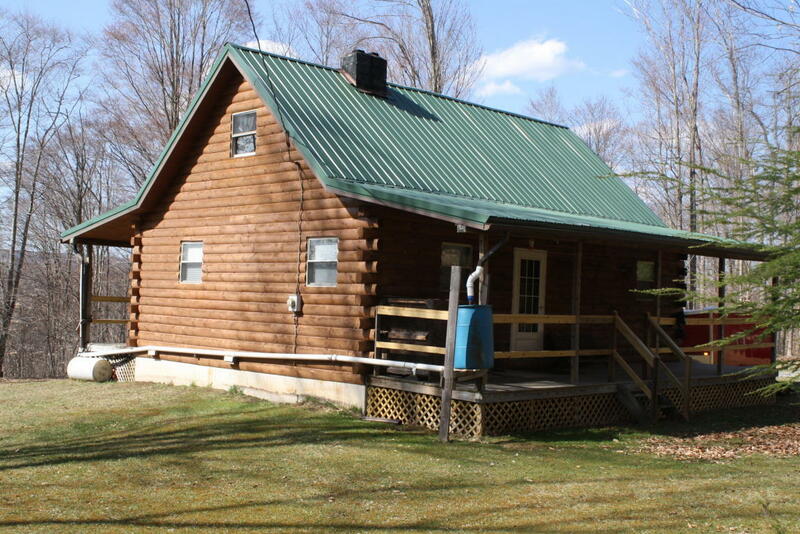 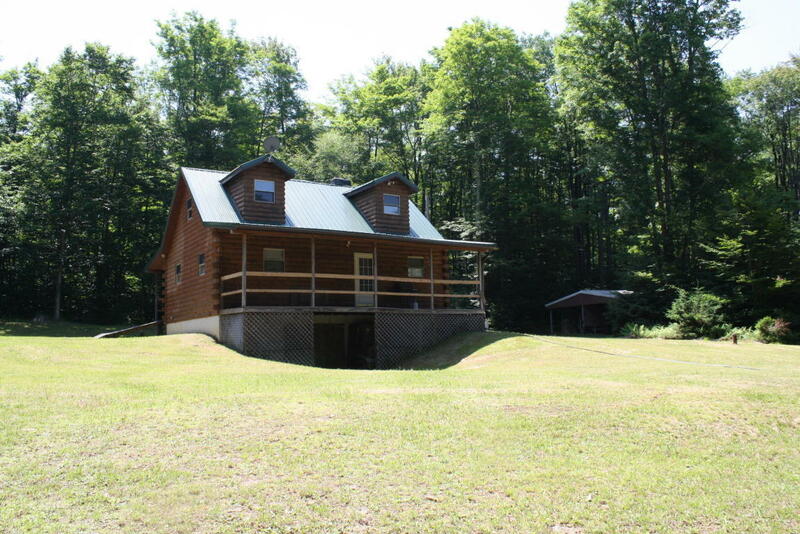 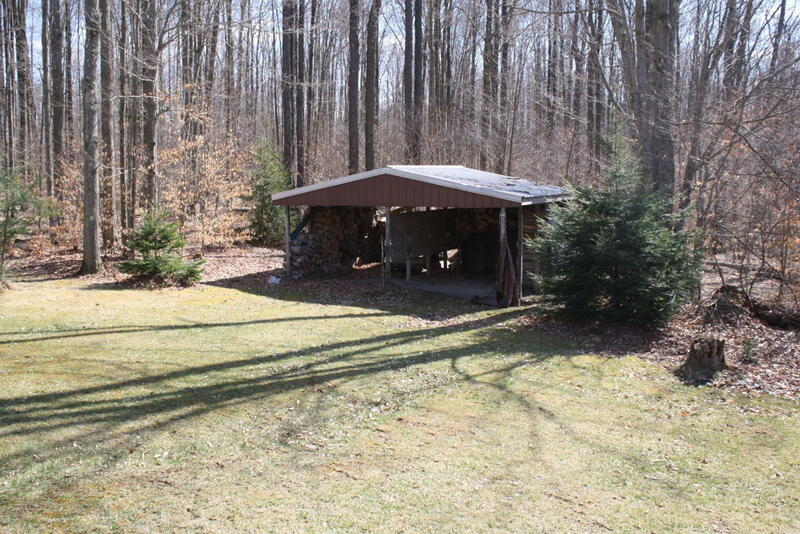 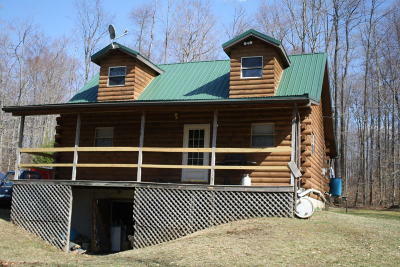 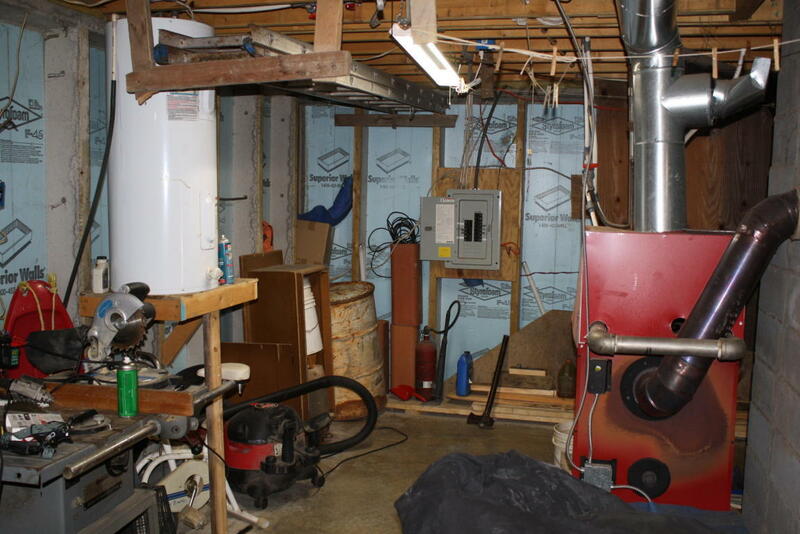 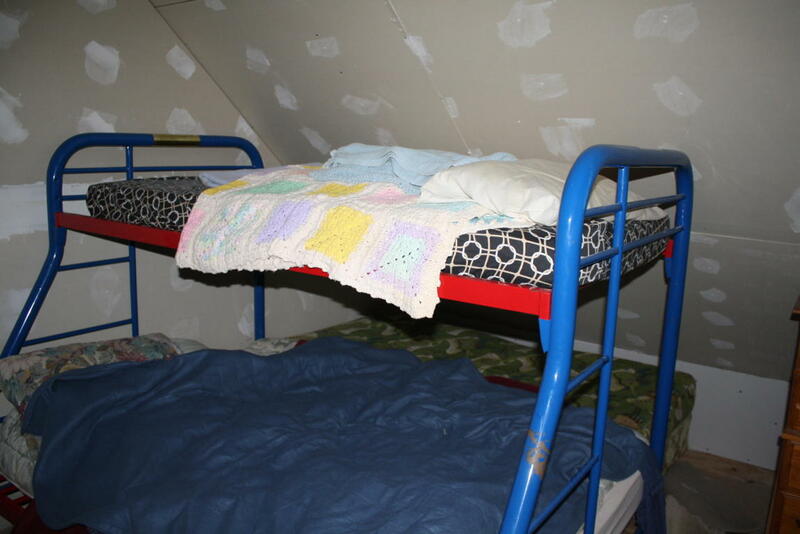 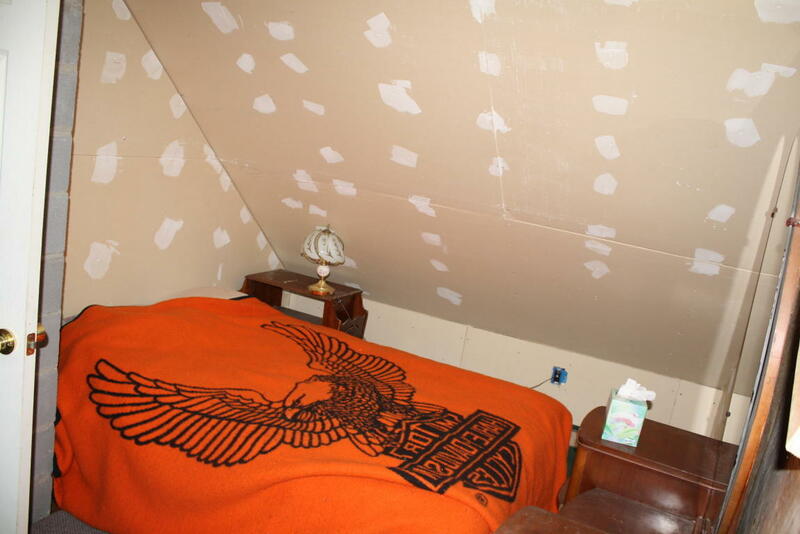 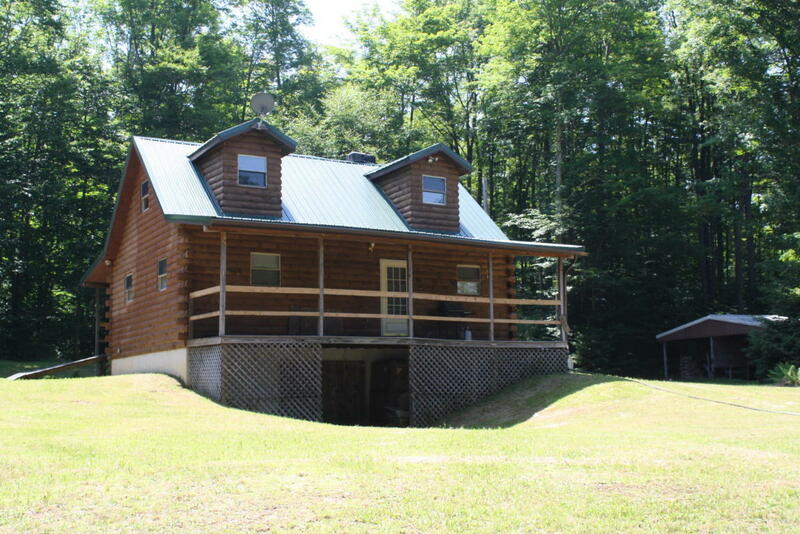 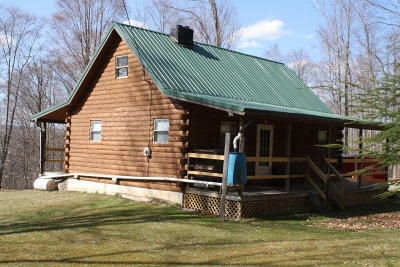 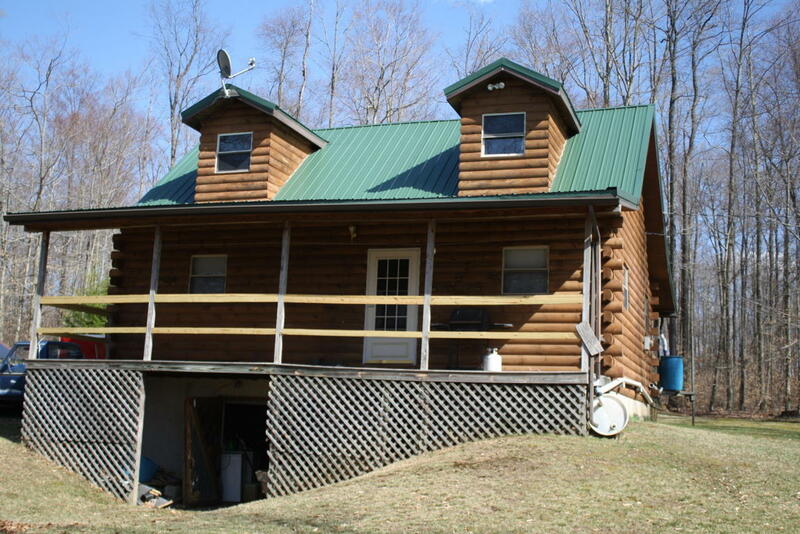 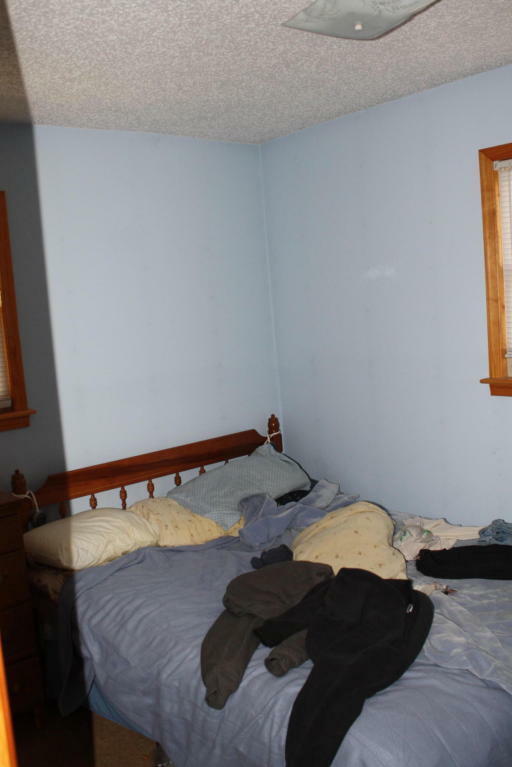 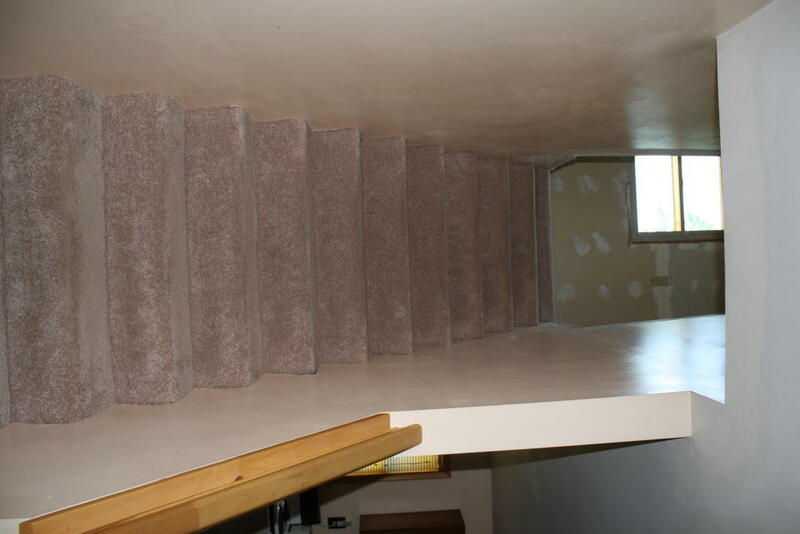 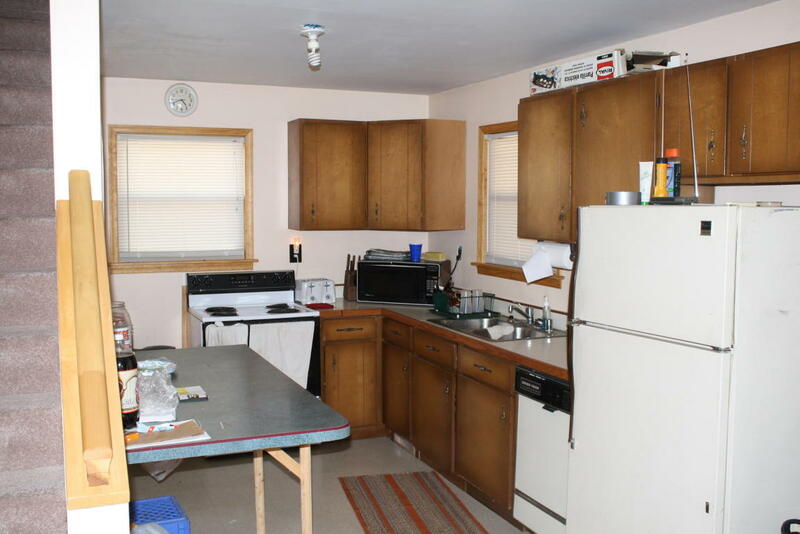 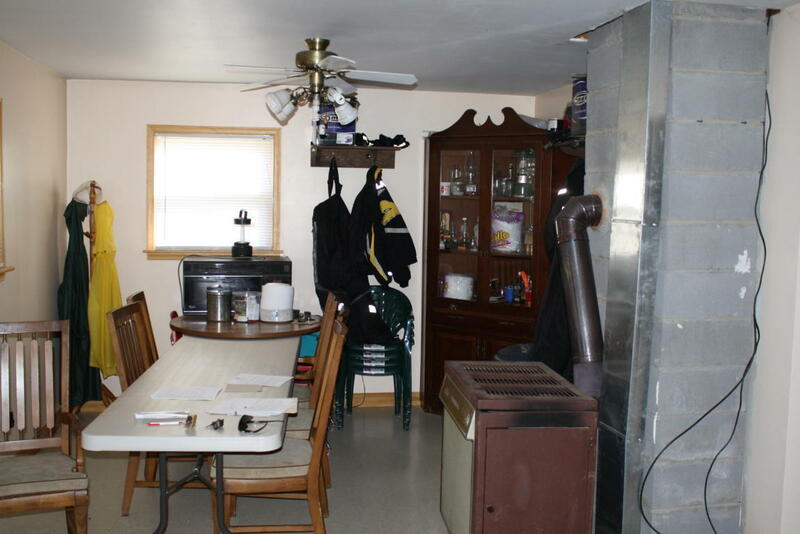 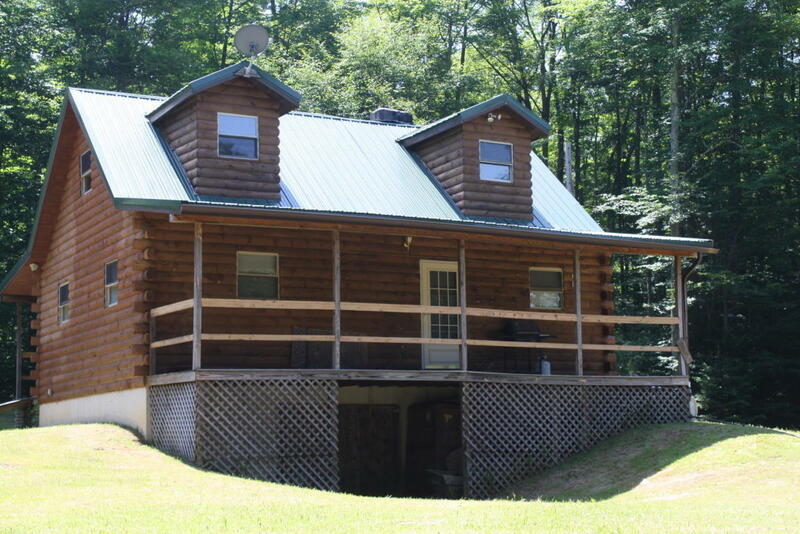 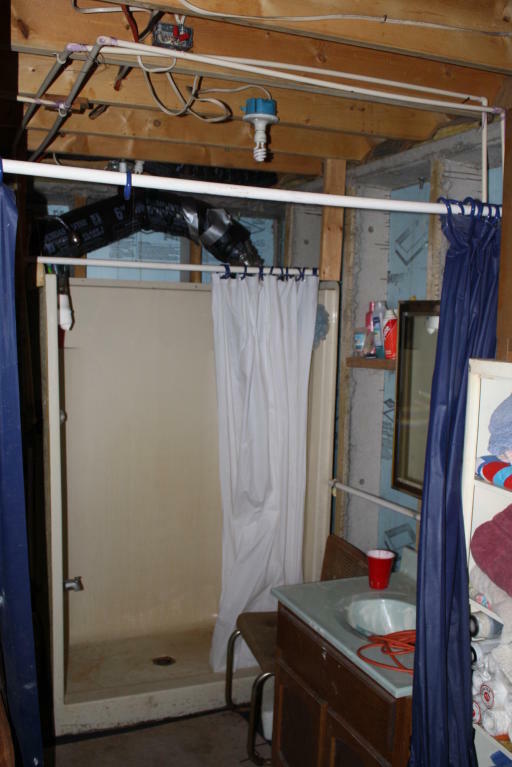 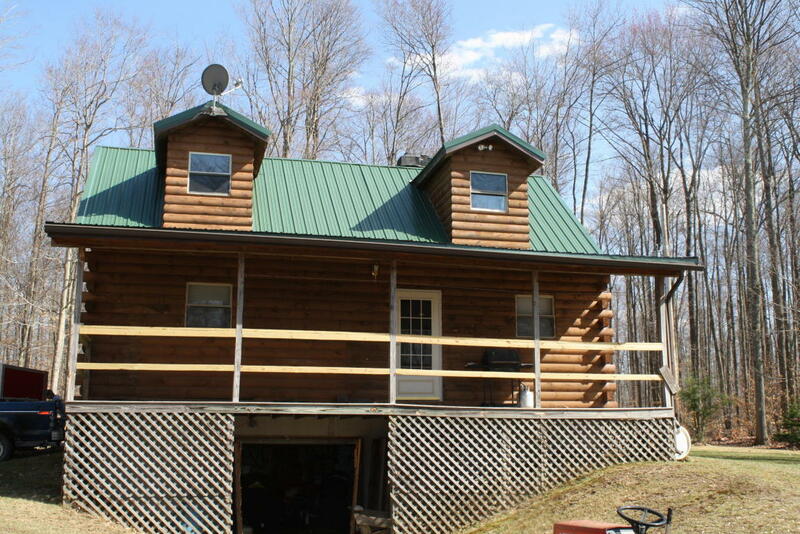 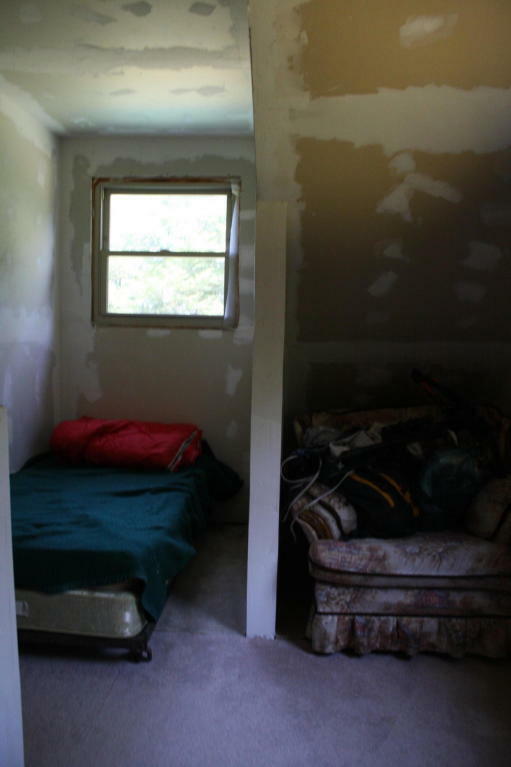 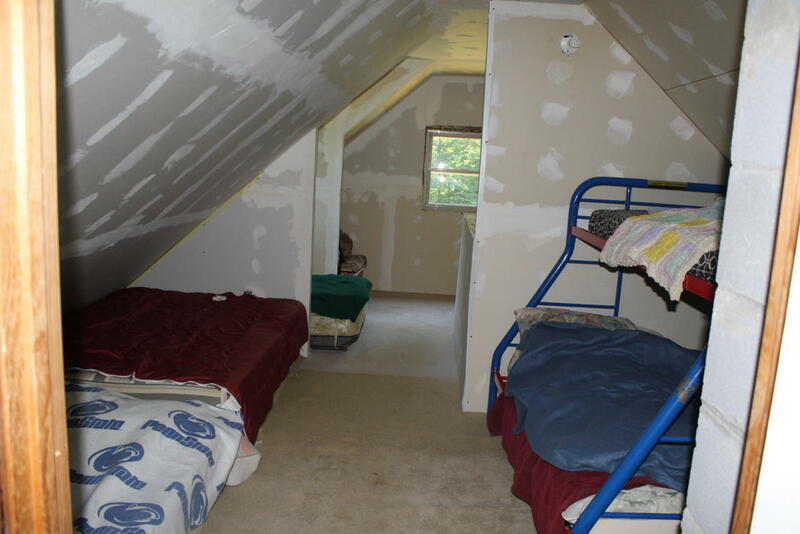 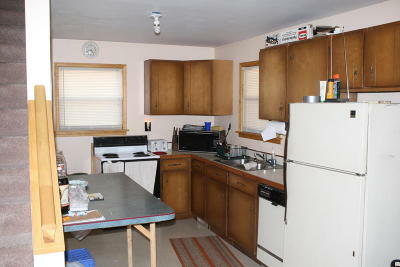 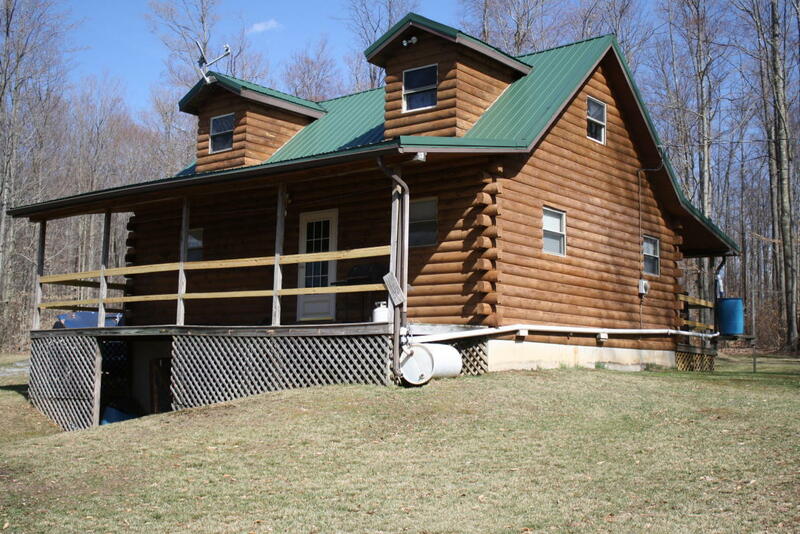 11 acres with a log home that sits on a full basement has water, septic and electric. 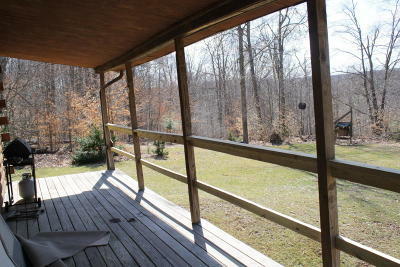 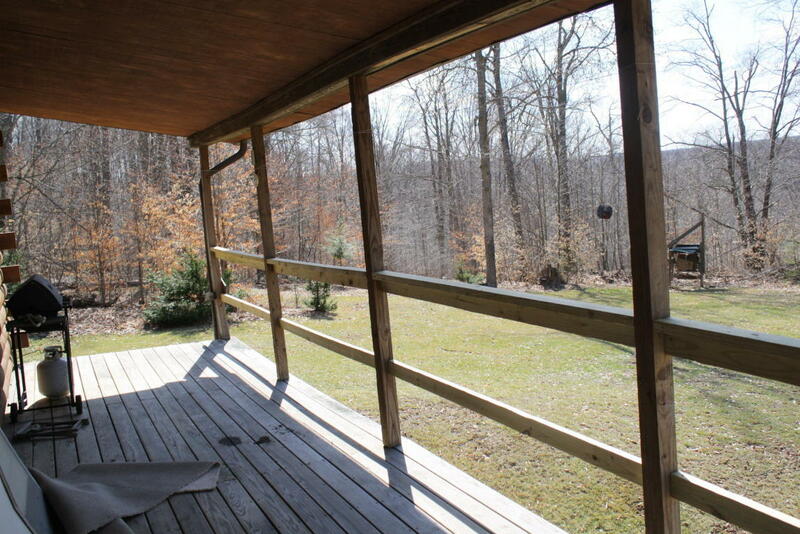 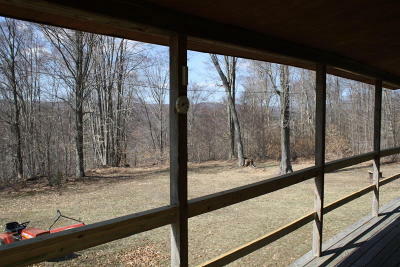 Metal roof, private large back deck overlooking Hunts Run a truly gorgeous view. 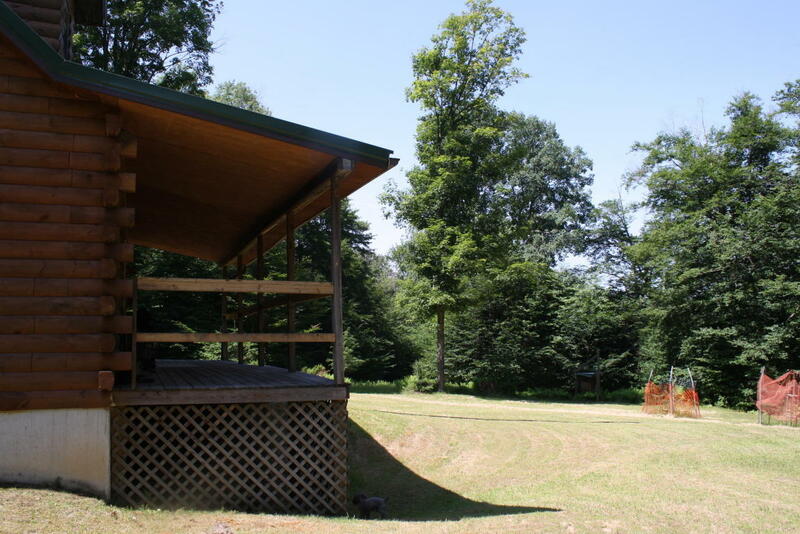 Great area for recreation. 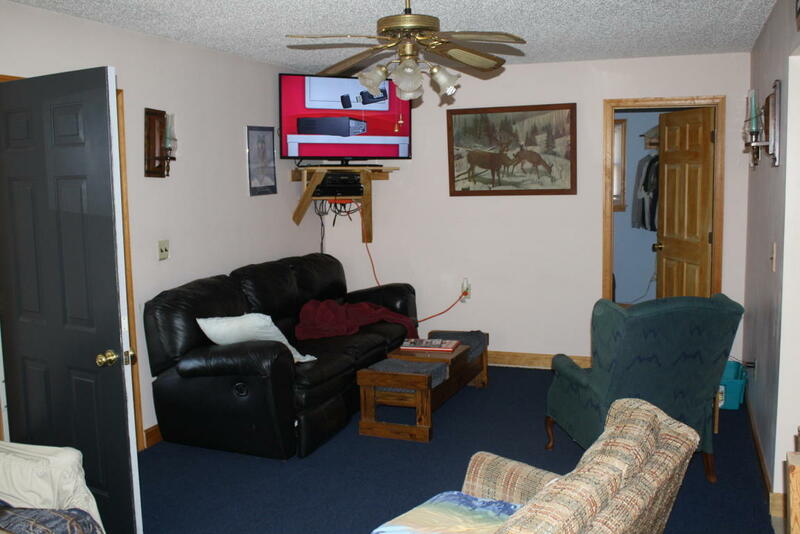 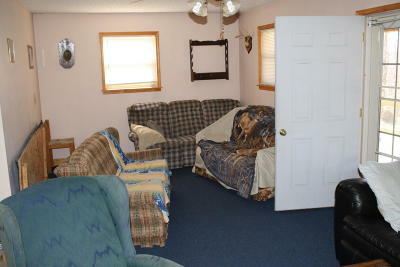 Hunting, fishing, golfing and snowmobiling only minutes away.